Col. R. Bancroft McKittrick, USMC-Ret., of Derry, NH, has been elected to the Board of Directors of the Military Officers Association of America (MOAA), the nation's largest veterans organization for active duty and retired military officers. Bancroft was elected on October 16, 2004, at MOAA’s Convention in Nashville, TN, and will serve for six years on the 36-member Board. 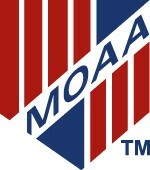 MOAA has nearly 372,000 members. He also serves on the Board of Directors for the NH Chapter. Bancroft holds an undergraduate degree in history and social studies and master’s degrees in human resource management, business management, and public administration. He was commissioned in 1968 upon graduation from Barrington College and served as a platoon and company commander in Vietnam. After tours in Okinawa and as a recruiter in Iowa, he commanded a logistics organization that supported Marines in the Middle East and Pacific; was the officer in charge of the port at Mogadishu, Somalia; and was a senior planner on the staff of the commander in chief, U.S. Pacific Command. Since retiring from the military in 1994, he has been an executive with a national leisure-travel corporation and general manager of a precision-components manufacturing company. He currently is Director of Cooperative Research for a company that explores and develops novel technologies and techniques for business, the military, and law enforcement agencies. He has served as president of the New Hampshire Chapter of MOAA.